Chris Williams is trying to make the world a better place, starting with his hometown. 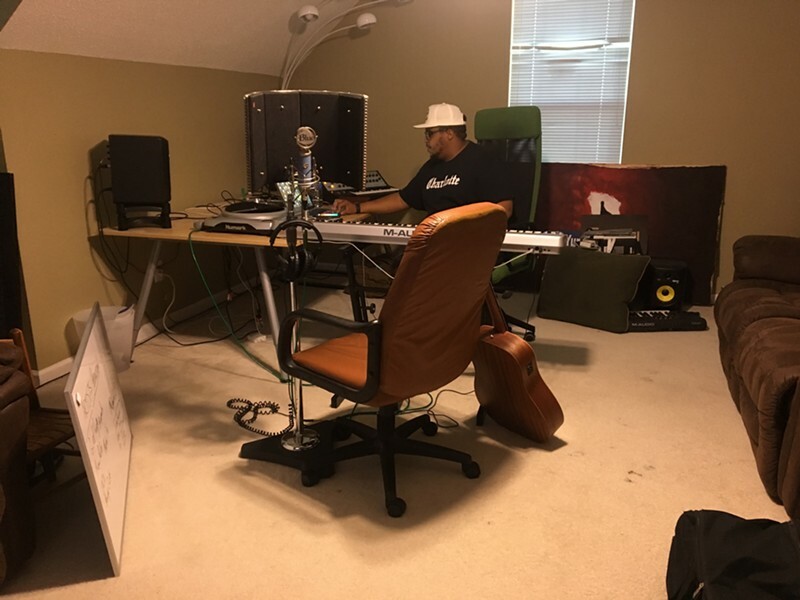 The producer and emcee's 2014 song "Power People," released under Williams' hip-hop name Yung Citizen, has taken on renewed resonance in the wake of the deadly violence sparked by white supremacists in Charlottesville, Virginia — not to mention the September 2016 uprising that followed the fatal police shooting of Keith Lamont Scott in this city. 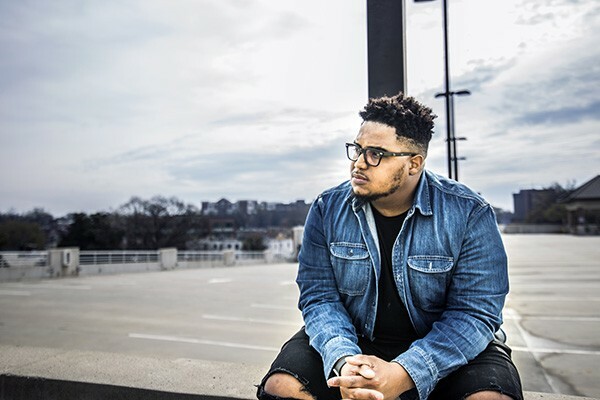 "This is to the power of the people," Yung Citizen raps in "Power People," an uplifting track fueled by stuttering, gospel-like choral vocals, digital hand-claps, and a swelling synthesizer on the refrain. The lyrics offer a message of hope: "You need to start fighting for your freedom," Citizen continues, and then, "Everything'll start to be peaceful." "I watch a lot of news and see a lot of stuff that I'm inspired by," Williams says. "I'm inspired by the ways we can effect change. Some people say, 'Why you so serious all the time? Make it fun.' And I'm like, 'Yeah, I can make it fun. I can do that. It's just that I'm so passionate about change and making an impact.'" Yung Citizen is serious about Charlotte music. The 29-year-old musician sits behind an M-Audio keyboard and Numark turntable in the second-floor studio of his childhood home in an upper-middle-class northeastern Charlotte neighborhood. Propped against a chair next to him is a brand new Taylor acoustic guitar. "I'm learning how to play it," Williams says. He's wearing a white baseball cap and black T-shirt emblazoned with CHARLOTTE, both made by the Queen City-based apparel company F4mily Matters. What he wears matters to Williams, who has a deep love for his extended CLT family. In "Bad," from his latest Yung Citizen EP Alive Sessions, Williams gives Charlotte an enthusiastic shout-out: "Blacker than a Panther, we always keep pounding / Queen City crowning, I love the way that's sounding." Although the line is an obvious reference to the Carolina Panthers, he says, "I'm also talking about my city. We are the crown. I feel like Charlotte, North Carolina, is the best city in the United States. "I'm so passionate about this city," Williams continues, "and that line came because I was about to leave and move to New York last October, but it didn't end up happening. And I think that's because, right now, I'm supposed to stay in my city and impact it in a way that's motivating and positive. So as far as my lyrics go, I like to write about things that are happening right now, and about how we can make it better." Right now, Williams is making Charlotte better by bringing local musicians together. The six tracks on Alive Sessions feature vocals by several area artists including Williams' older sister N'Chanted, R&B vocalist Dexter Jordan, pop singer Michael Remisi, jazz-inflected neo-soul singer Mori Bea, rapper Modest Jon and DJ Sir Charles. 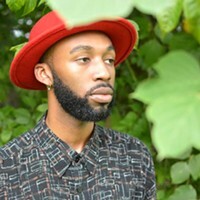 On Aug. 28, Williams will bring his Yung Citizen show to Petra's as part of singer-songwriter LeAnna Eden's music series "Session: A Listening Party." Jordan and the other artists on the new EP will accompany him. It's all designed to showcase Charlotte's rich talent pool. "I already knew all of the people I brought into the project," Williams says. "Dexter and I had worked together on several records, and I've also done records for the white guy, Michael Remesi. And then there's my sister, N'Chanted." And then there's his father, Dennis, who says family — both blood and otherwise — has played an important role in Yung Citizen's musical career. When Christopher Williams was a much younger citizen, his father was wary of the music business and was frank with his son about it. "I'm brutally honest with my children," says the elder Williams, who now manages Yung Citizen's career. "In the beginning it was all fun. I could see the talent, but I'd always remind him, 'Son, if it doesn't sound good, I'm going to tell you to drop it.'" Chris Williams laughs. "When I first started making beats and my dad heard what I was doing," he says, "he was like, 'Uh, that's not really sounding so good. You might want to think of something else to do to pay the bills.' But once I got to college and got the right training and the right knowledge — he's been supportive ever since." 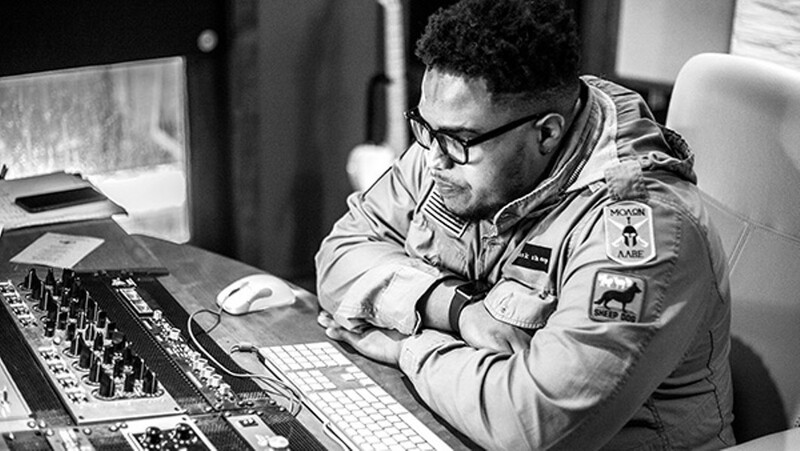 Born during the late-'80s golden age of hip-hop, Christopher Michael Williams' first passion was Michael Jackson. "My parents taped a Michael Jackson concert and I used to watch that video every day," he remembers. "And then I heard Kris Kross. I think I loved them so much because my real name is Chris." Dennis Williams, who works for Duke Energy, initially shielded his son from rap, which he felt was too violent. "My parents didn't really let me listen to hip-hop when I was younger, so it wasn't until I was a teenager that I started to really get into it." He discovered the more positive messages of acts like N.E.R.D. and its production core of Chad Hugo and Pharell Williams, the Neptunes. "They were my favorite," Chris Williams says. "I listened to them all the time in high school, and there was this magazine called Scratch that I would read." That's when Williams adopted his Yung Citizen moniker, "because, you know, I was young and I was a citizen of the United States," he says, with a laugh. "It was that simple." Williams began toying with the digital audio workstation FruityLoops, or FL Studio, making rudimentary beats. "I was playing around with FruityLoops and listening to N.E.R.D. and some of the other records that the Neptunes produced for artists like Jay-Z, Justin Timberlake and Gwen Stefani. I just loved what they were doing. I liked that they sounded so different. It inspired me to be different as a producer. But when people would hear my production, they would say, 'This is not what I hear on the radio.' And I would say, 'Yeah, that's the point.'" 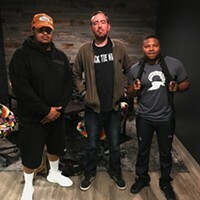 He also played football in high school, and in 2007 landed a partial scholarship to attend Catawba College in Salisbury, where he studied the business side of music. "I got really involved in the music program, and did production work on the side," Williams says. But doing both music and sports was overwhelming. "I had to practice football all the time, and then I also had to practice piano all the time. It got too tiring to do all of that," he says. "I realized football was not going to take me anywhere, so after two years I decided to stop playing football and focus on my studies." The school agreed to transfer his partial football scholarship to the music department. "That's when I got heavily involved in the music department. I was production manager; I would run sound when we had shows. And we had this vernaculars program. What that means is that if you wanted to learn rock, we had a rock program where the students would form rock bands; if you wanted to learn country, we had a country program; and we had blues and other genres." What they didn't have was a good hip-hop/R&B program, Williams' father says. So David Fish, the chairman of Catawba's music department, encouraged Williams to start one. "None of the vernaculars was really targeted to people of color," Dennis Williams says. "Dr. Fish allowed Chris to create a vernacular called Urban Soul. What I like about Dr. Fish is that he really saw the talent in Chris and gave him the opportunity to go into the studio at Catawba and just create." "He wanted diversity," Chris Williams says of Dr. Fish. "He wanted everybody to experience all different genres." During his junior year, Williams traveled to New York City for an internship at Jambox Studios near Madison Square Garden in Midtown Manhattan. It was an eye-opening learning experience for him to work in a studio where artists affiliated with the Ruff Ryders label recorded. "Sometimes they would allow me to sit in on sessions so I could learn," he remembers. 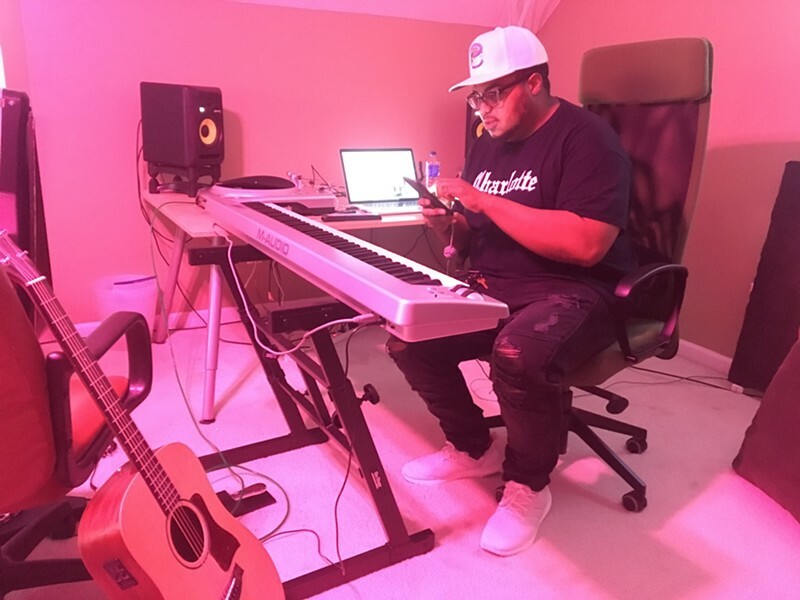 After returning to North Carolina to finish his degree, Williams landed his first major beat placement with the artist Neako, who was part of Wiz Khalifa's camp. Neako eventually formed his own camp, LVLYSL, and called on Williams to create some beats. "Everyone on campus knew about it and was like, 'Oh snap,'" Williams says, "but I'm like, 'I'm nowhere near where I want to be.' It was just a first step." Yung Citizen's next step was to pick up the mic and start writing. That led to "Power People" and now Alive Sessions. He's still not where he wants to be, but says he's well on his way. But if Williams thought he'd have to leave Charlotte for New York or Los Angeles to make it, he now knows that's not true. That realization came with maturity, he says. Williams doesn't believe in the idea of young or old; he says he'll always be young, but with an old soul. As he talks about his ideas of youth and maturity, the popular late-'90s Nickelodeon cartoon Hey Arnold! plays on a big-screen TV on the studio's far wall, the sound turned to silent. The old-soul title character in the cartoon moves about the screen while Williams explains what kept him in Charlotte — and what will keep him here forever. "And then I realized that you don't have to leave your city to be seen," he continues. "You make a way to be seen. You can do anything you want to do. A lot of people leave and go to other cities and they find themselves in the same position as they were when they were in their own city. But then they're in a city where they don't know anybody. I've seen a lot of people move away and end up coming right back." Besides, Williams says, Charlotte itself is on its way to becoming a destination for creative people. "There's a ton of talent here, and I think we're all starting to feel like, 'OK, let's come together and see what we can do.' We're in a totally different place now than where we were a few years ago," Williams says. "And that's where the Alive Sessions project came from — I wanted people to realize we can work together, like a family, and make this thing pop." Kia O. Moore contributed to this story.